István Beöthy was a Hungarian painter, sculptor and architect who mainly lived and worked in France. Etienne (Istvan) Béothy was at the forefront of the European avant-garde throughout the first half of the twentieth century, and this iconic work, compelling in its formal serenity, is the first of his seminal Femme series, and an important example of his early oeuvre. Born in Hungary in 1897, Béothy studied at the school of architecture in Budapest, where he became friends with Moholy-Nagy and participated in the avant-garde group "MA". In 1920, he abandoned architecture for sculpture. His first works were inspired by architectural themes and based on Constructivist principles. A travelling scholarship then enabled him to visit Germany, Austria, England, Italy and France. Finally in 1925 he settled in Paris. His work immediately became more organic often anthropomorphic, as is evident in this sensuous work "Opus 17, Femme I" from 1925. The following year he held his first one-man exhibition at the Galerie Sacre du Printemps. In 1928 Béothy joined Léonce Rosenberg's famous Galerie L'Effort Moderne, along with Metzinger, Archipenko and Gleizes. In 1932 he became a founding member of the Abstraction-Création group, which developed into the leading force of European abstraction and included Kandinsky, Mondrian, Delaunay and Arp. In 1938 Béothy organised the first exhibition of abstract art to take place in Budapest and made an important lecture the "Le Problème de la Créaton". The following year he published "La Série d'Or", the result of a twenty year project exploring the relationship between mathematics and art. 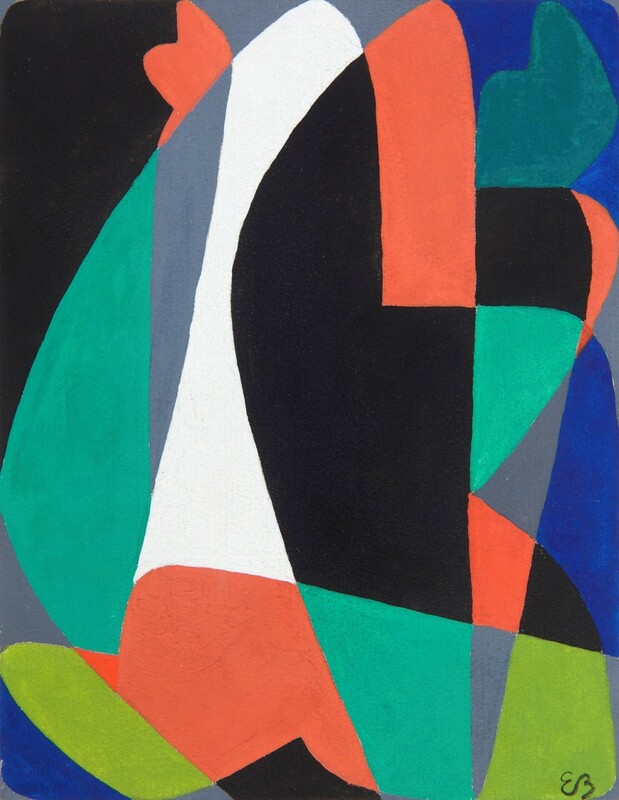 In 1946 Béothy co-founded the Salon des Réalités Nouvelles, giving an important platform to post-war abstraction. "The real driving forces behind this were Herbin, Pevsner, Félix Del Marle and Béothy. All the brightest talents in abstract art would unite there for many years" (M. Seuphor, "L'Art Abstrait", 1954). In 1951 he edited with Léger and Le Corbusier the first edition of Formes et Vie and also co-founded with André Bloc and Del Marle, the group Éspace, which was influential in championing geometrical abstraction. During his career Béothy exhibited extensively worldwide, and is now represented in numerous museums of Modern Art including: Musée National d'Art Moderne, Paris; Musée d'Art Moderne de la Ville, Paris; Saint-Etienne; Grenoble; Anvers; Budapest; Honolulu; Jerusalem; Marl; Museum of Modern Art, New York.